Portland Trail Blazers forward Caleb “Biggie” Swanigan turned in a gem of a performance Monday night. The 6’8″ 250-pound Purdue product was simply a man among boys. Memphis rookie Jaren Jackson Jr. did not play, which left substantial room for Swanigan to go to work. Despite the dominant performance, Memphis hung tough and received strong contributions from unlikely sources. 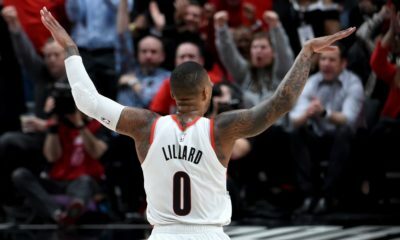 When the dust settled, the Trail Blazers emerged victorious, 97-92. The Blazers will face the Los Angeles Lakers in the Summer League final tonight. The undersized big narrative really starts and ends with former Blazer and Grizzly Zach Randolph, at least for the modern generation of NBA fans. Swanigan himself offers a similar below-the-rim game. That game was on its best display Monday. While Swanigan is a long way from having a ZBO-like career, the 21-point and 16 rebound effort showed flashes of similar potential. Swanigan scored his 21 points while only missing 4 shots to finish 9-13 for the game (69.2%). He even made his lone three-point attempt, something else that has become a quiet part of Randolph’s game. The performance was by far Swanigan’s best of the summer. He may never be Randolph, but few players will be. ZBO has averaged a double-double in 9 of his 17 seasons, including 5 seasons of 20 points-10 rebounds. Those numbers mark Randolph as one of the best bigs of the 2000s. That said, Swanigan does not have to be ZBO to have a sound career. Swanigan just needs to prove he can hang in the big leagues. A dominant showing like Monday’s is a step in the right direction. With center Ed Davis now in Brooklyn, there are some frontcourt minutes up for grabs in Portland. 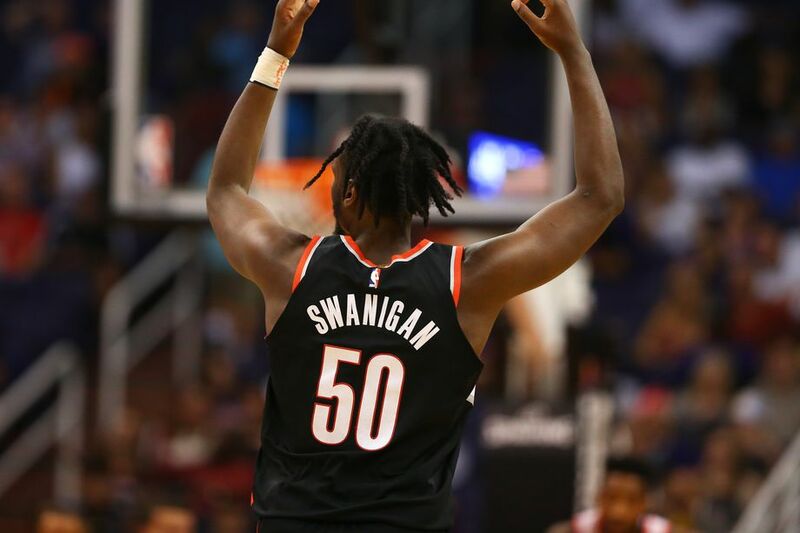 If he hopes to edge out 2017 lottery pick Zach Collins for that time, Swanigan will have to continue to not only play well, but dominate whenever he sees court time. Caleb Swanigan leads Portland back to the Summer League Tournament championship game. Jevon Carter may have been on a tear recently, but Kobi Simmons stole the show Monday night. The former Arizona Wildcat was quite impressive for Memphis in the loss. With the team clearly in a pseudo-rebuild/retool effort, most of the roster is up for grabs. 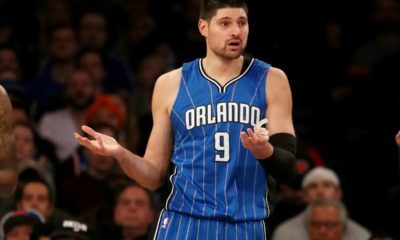 Only a few players are likely considered locks to remain with the team and have major roles with the team. That leaves plenty of opportunity for more than a few of the Summer League guys. Simmons is competing with the likes of Carter, Wayne Selden Jr., Andrew Harrison among others for time behind franchise mainstay Michael Conley, one of the aforementioned roster locks based on the current make up of the team. Whoever can separate from the pack will likely get the lion’s share of the opportunities at first. Whoever falls behind early in the minutes race may not be able to climb back up from it. With such stiff competition for time, Simmons did himself a favor with an aggressive performance Monday. 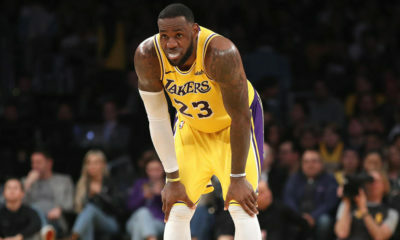 The 6’5″ guard dropped 23 points, a bulk of which came at the free throw line. Simmons was on the attack offensively and was rewarded with 12 free throw attempts for the game. He connected on 10, an efficient 83.3%. Simmons complimented the scoring output with 6 rebounds, 2 assists, and 3 steals without committing a turnover in the Semifinal game.